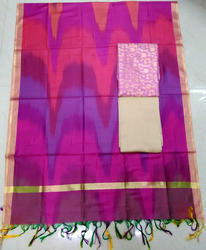 We are offering Chanderi Silk Suit to our client. 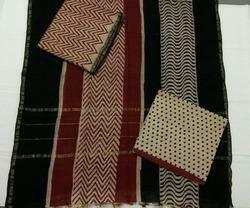 Backed by years of industry experience, we are engaged in offering a premium quality range of Chanderi Silk Suit. In order to cater the variegated demands of our clients, we are offering an excellent quality range of Grey Khadi Silk Salwar Kameez.